Performances and other highlights of this week's BBC Radio 2 Folk Awards, presented by Mark Radcliffe and Julie Fowlis at the Royal Albert Hall. The vibrant scene from the UK and beyond is celebrated at this annual gathering of the folk family with performances from Ry Cooder, Al Stewart, Billy Bragg, Shirley Collins, Jim Moray, Fara, Daoirí Farrell and Afro Celt Sound System. Electro-folk fusion group Afro-Celt Sound System get proceedings off to an energetic start and there's a wide variety of folk and roots talent throughout the show. In the 50th year of his career, American roots rock legend Ry Cooder makes a rare UK appearance, performing Jesus on the Mainline. He picks up a Lifetime Achievement Award, as does platinum-selling folk-rock singer-songwriter Al Stewart, who performs his 1976 song, On the Border. 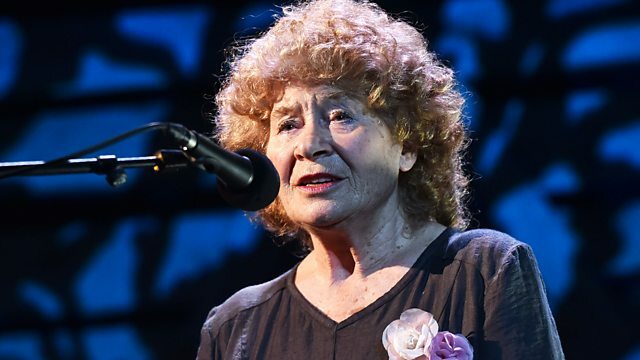 Nominated for two Radio 2 Folk Awards, the great English traditional singer Shirley Collins has returned to the stage after a long break, and here she performs a track from her comeback album, Lodestar. There's also the exciting young singer from Dublin, Daoiri Farrell and the distinctive tones of Jim Moray with his bold Upcetera band. Long-time Woody Guthrie fan Billy Bragg plays I Ain't Got No Home in This World Anymore in tribute to his icon, who died 50 years ago. Orkney quartet Fara wield haunting harmonies and fiddles. And there's a specially curated performance from the Ballads of Child Migration, featuring the voices of children who were forcibly migrated from Britain to Australia and Canada, it's narrated by Barbara Dickson, with songs performed by an assembled cast of folk luminaries - Kris Drever, Boo Hewerdine, O'Hooley and Tidow, Andy Cutting, Jez Lowe, While & Matthews, John McCusker and Mike McGoldrick. Awards ranging from Lifetime Achievement Awards to the Young Folk Award, Album of the Year and Folk Singer of the Year are handed out by a procession of folk-loving guests including Ray Davies, Sharleen Spiteri and Nick Lowe.